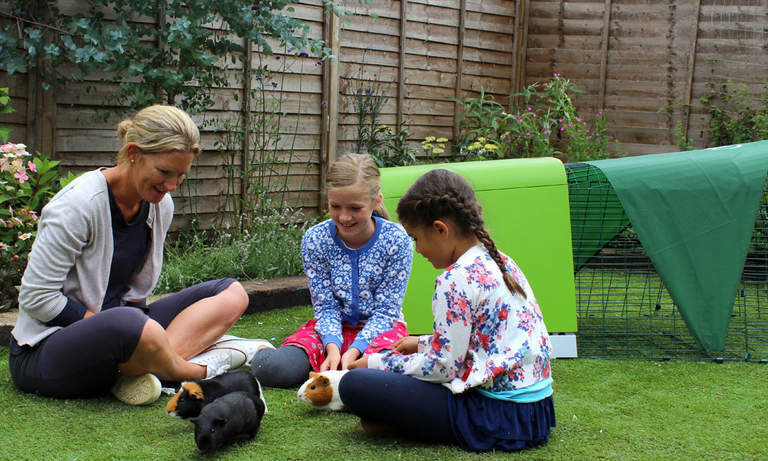 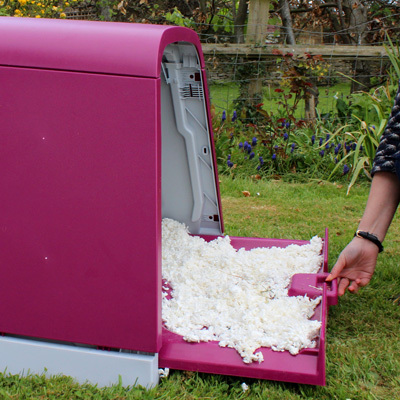 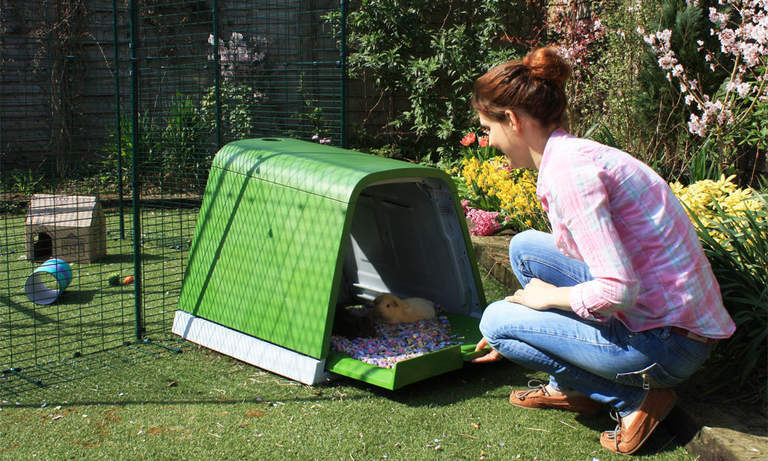 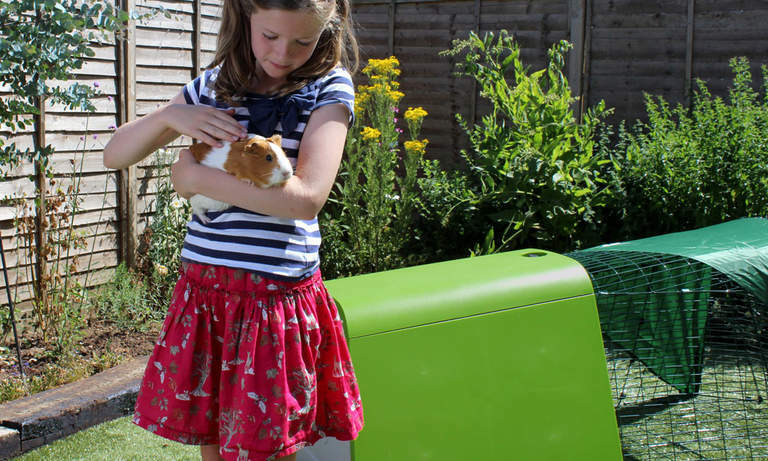 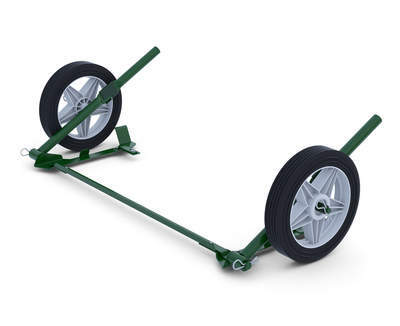 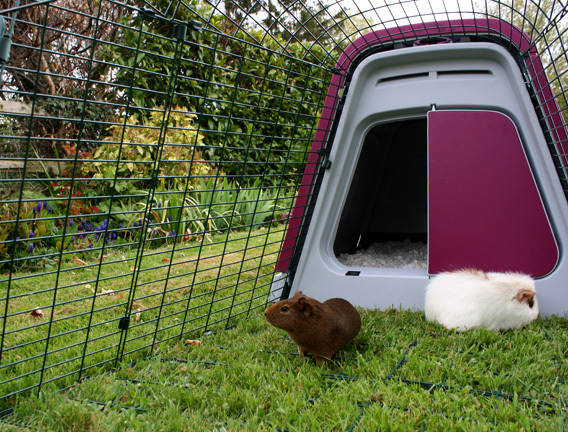 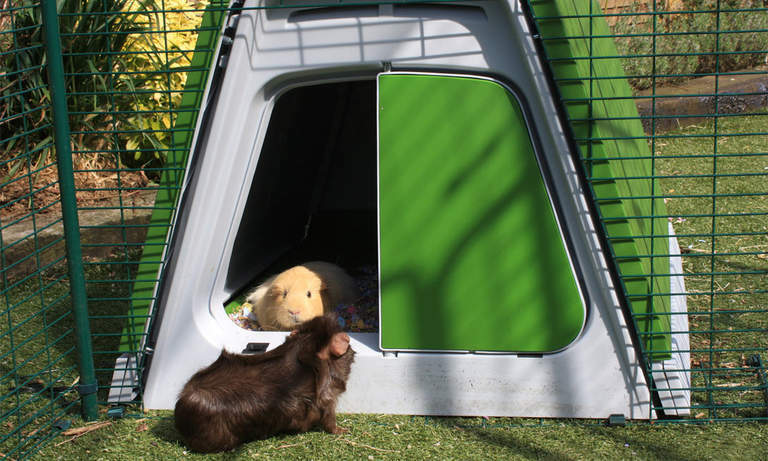 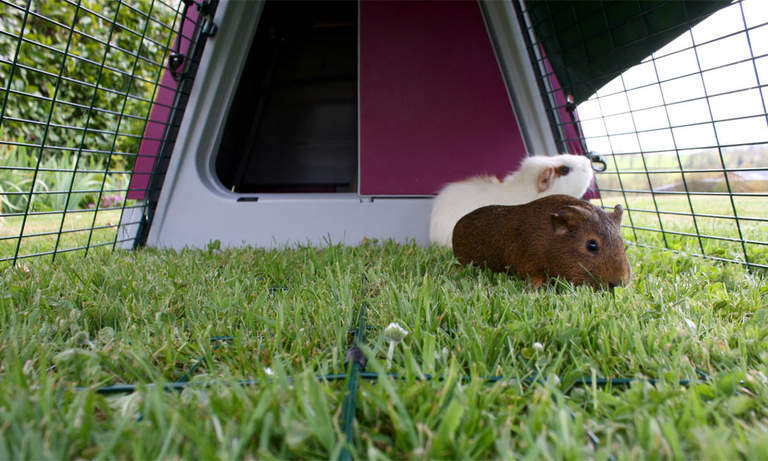 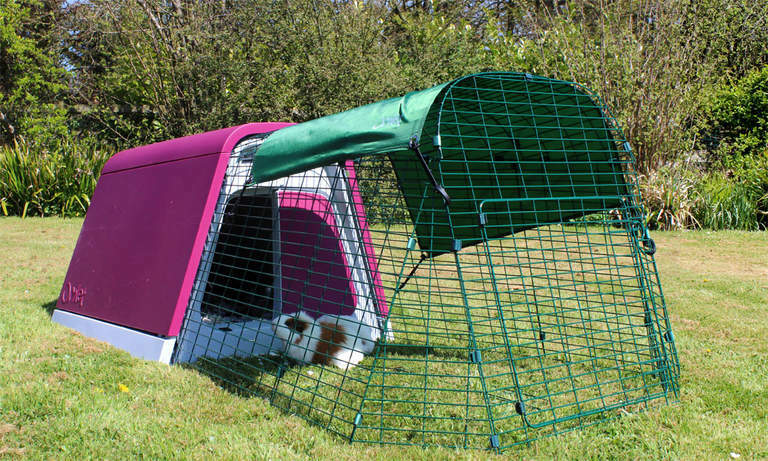 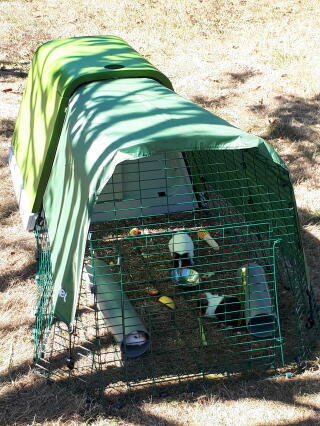 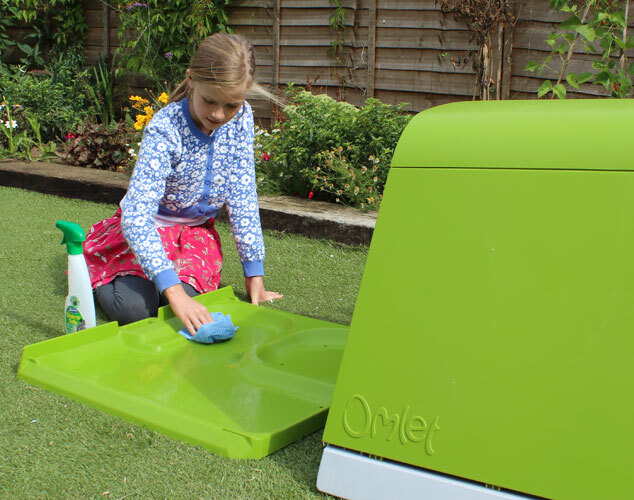 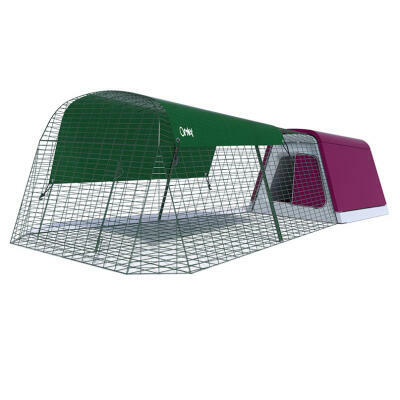 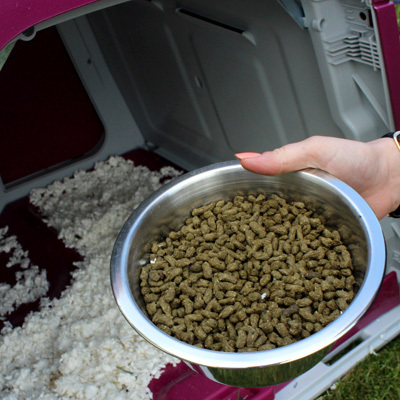 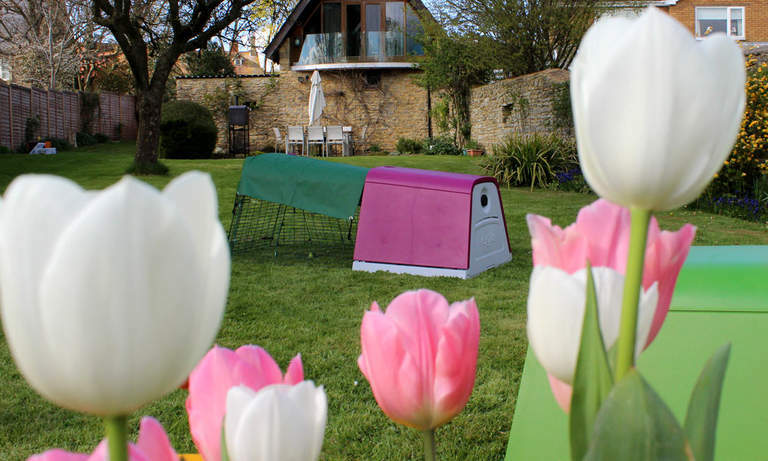 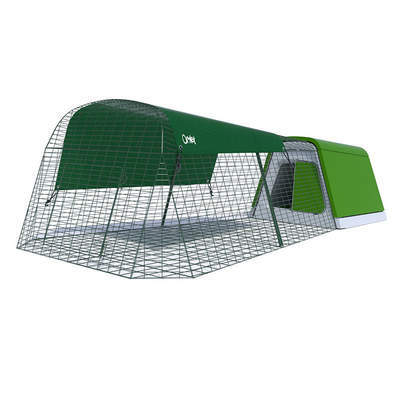 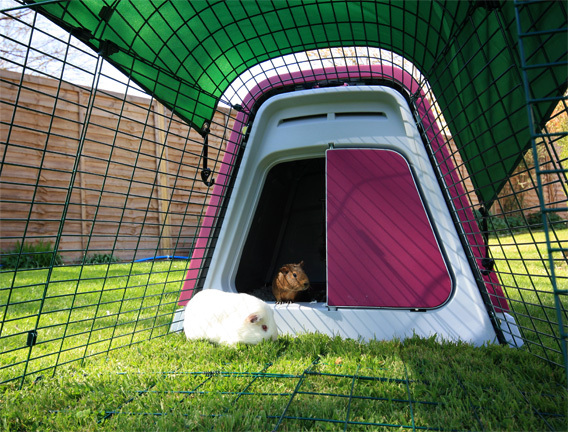 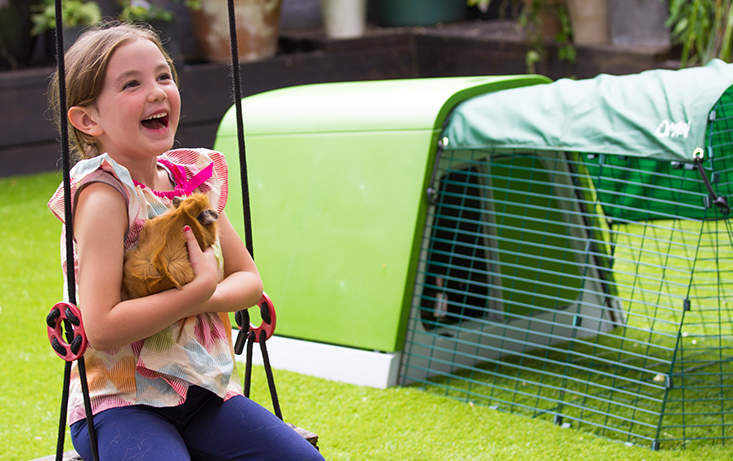 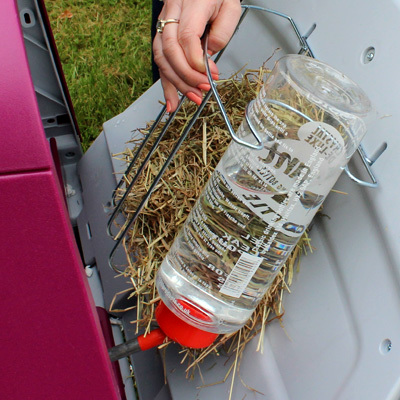 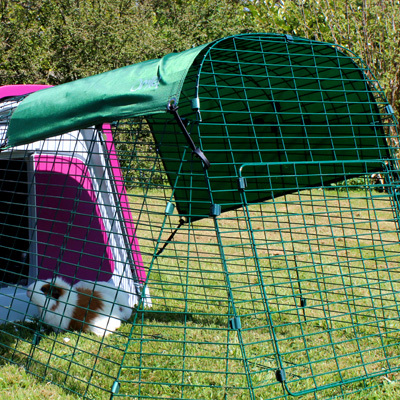 See below to read about the Eglu Go Hutch. 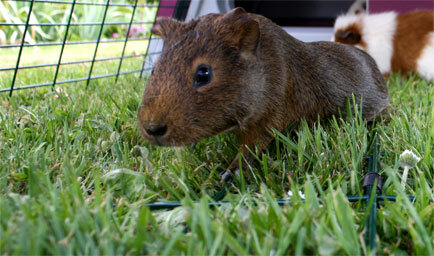 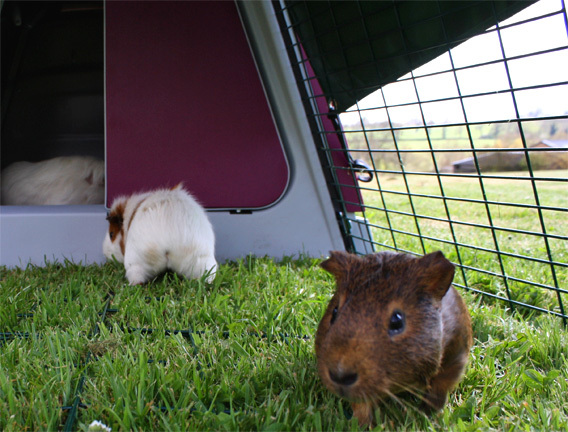 We recently purchased an Eglu Guinea Pig Hutch and run for our preschool. 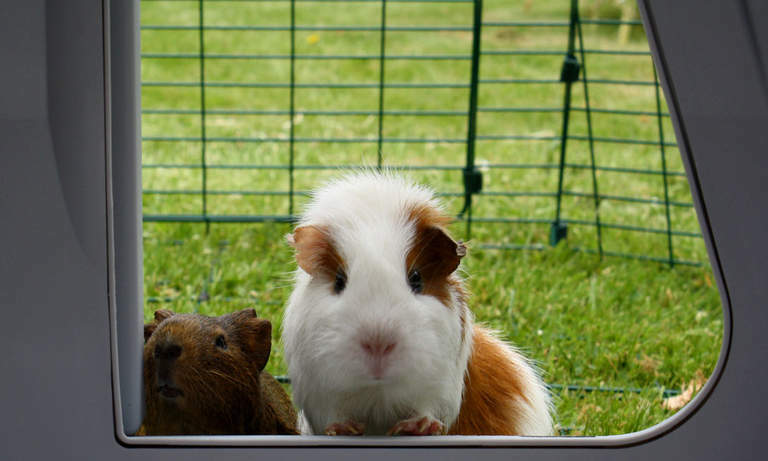 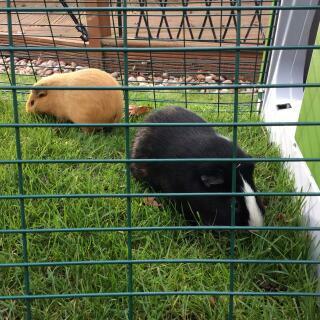 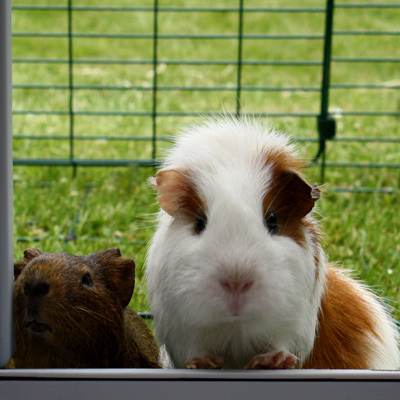 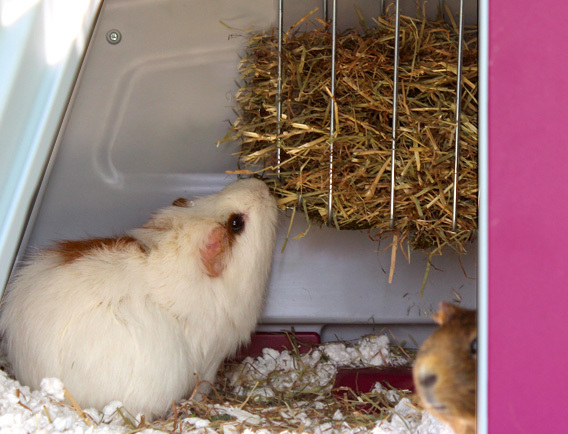 We have two guinea pigs and they seem very happy in it so far. 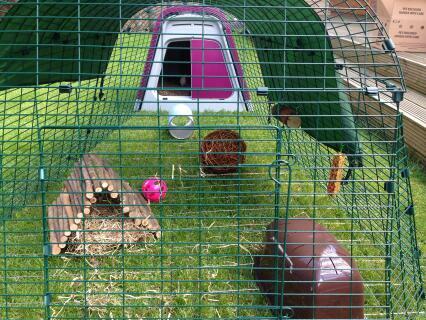 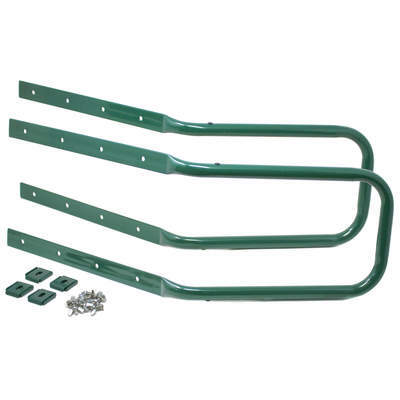 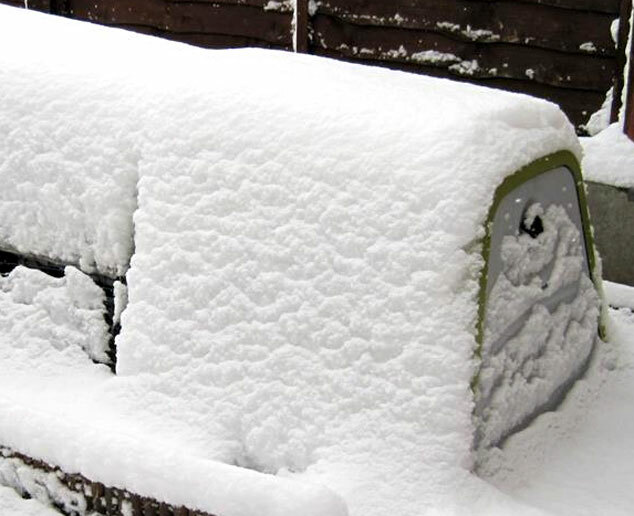 The hutch has proved sturdy and easy to maintain and the run has provided good visibility for the children. 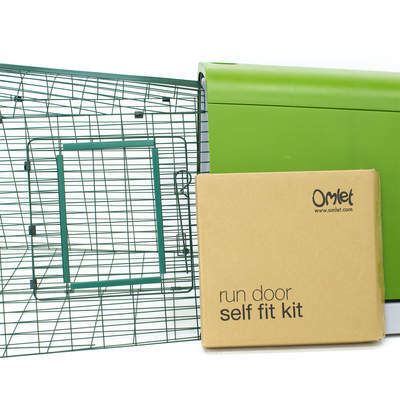 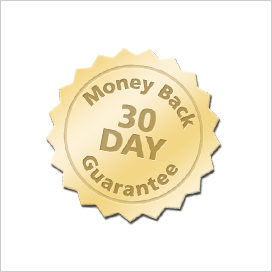 The only thing that would improve it further is the ability to lock the back door more securely. 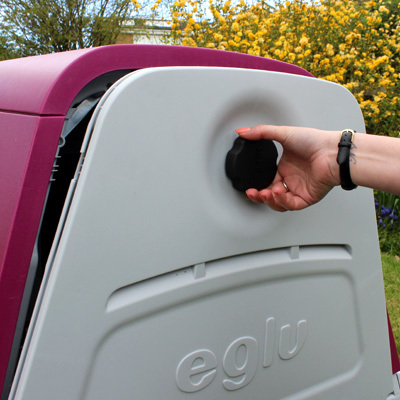 We have a couple of inquisitive children who very quickly worked out how to twist the handle to open it. 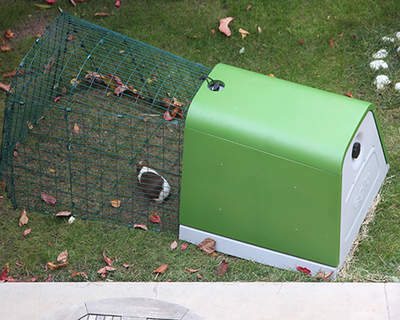 I purchased the Guinea Pig hutch with the 2m run for my two piggies in early December 2017. 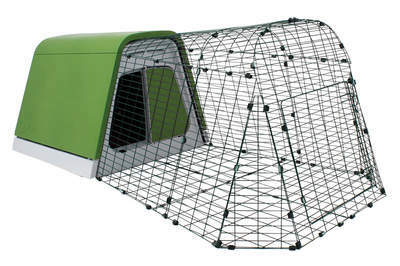 I will be honest and say that in the early days I almost wished I hadn't bought it as it is quite expensive and took so so long to put together and it's impossible to move it on my own (I get at least two people to help me due to the structure of the cage/wire, I feel like it's going to fall apart if not supported on all sides when moved). 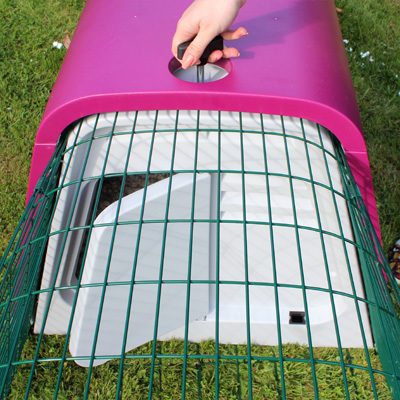 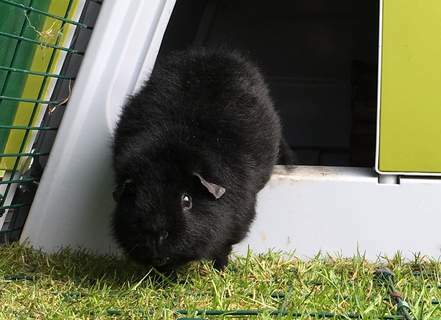 The actual hutch part is awesome, super easy to clean and with the recent hot weather we've had it stays surprisingly cooler inside although I do take my GP's indoors if the outside temp reaches excess of 37/38 (celsius). 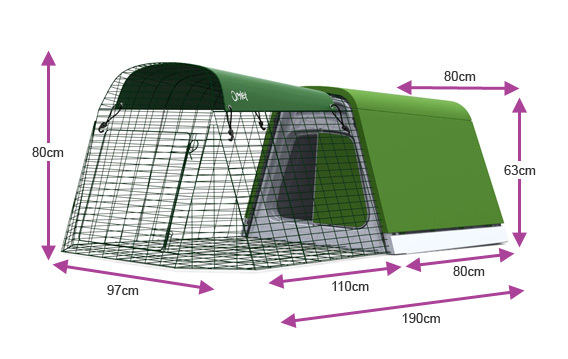 The wire run itself I'm still not convinced is the best design, size wise it's great but I feel like there are too many sections to it, so the more joins it has, the more weak points it has also. 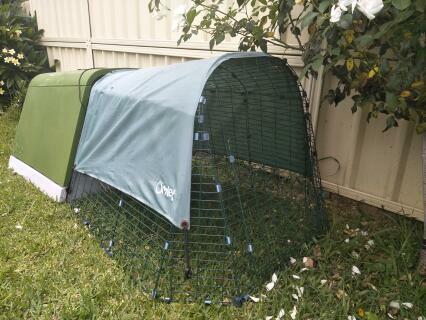 I also bought the full length heavy duty cover and I must say it is definitely worth it. 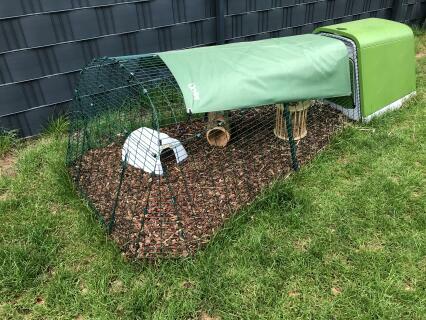 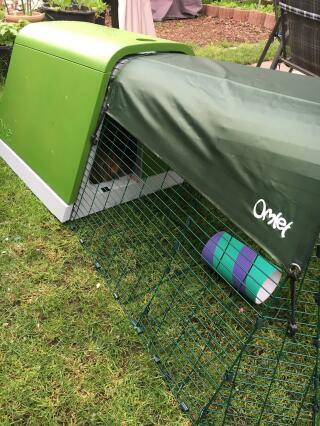 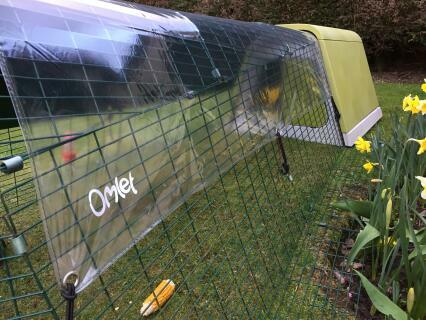 We had some stormy weather and I was able to overlap the cover from where the run joins the hutch and it prevented any rain getting in the hutch, I definitely felt they were well protected with this cover. 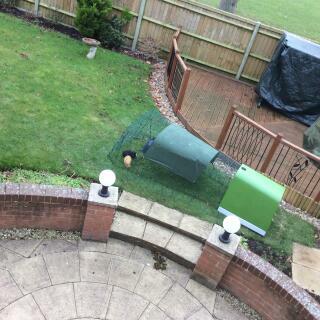 Overall I am now glad I bought it.